What a great way to cap off a week of reviews of IPA's I have had from the past few months - a just-tapped (not even served for six hours yet, as I write this) MONSTER of an Imperial IPA and a solid smoked porter to serve as its appetizer. It was so good, a leaving patron thanked me for the beer as I was talking to Greg Nash, the brewer (clearly, this is powerful stuff). 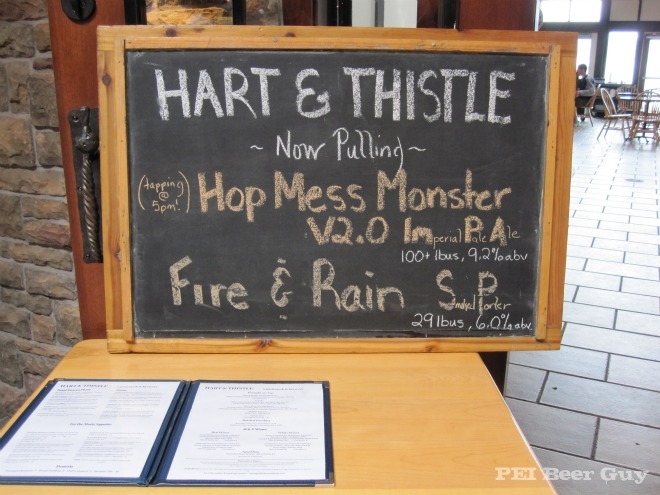 I wonder if the Hart & Thistle does breakfast... I could go for visit 3.0.